Are you a lacrosse player in the New England area looking to improve your skills? Well now is your chance! 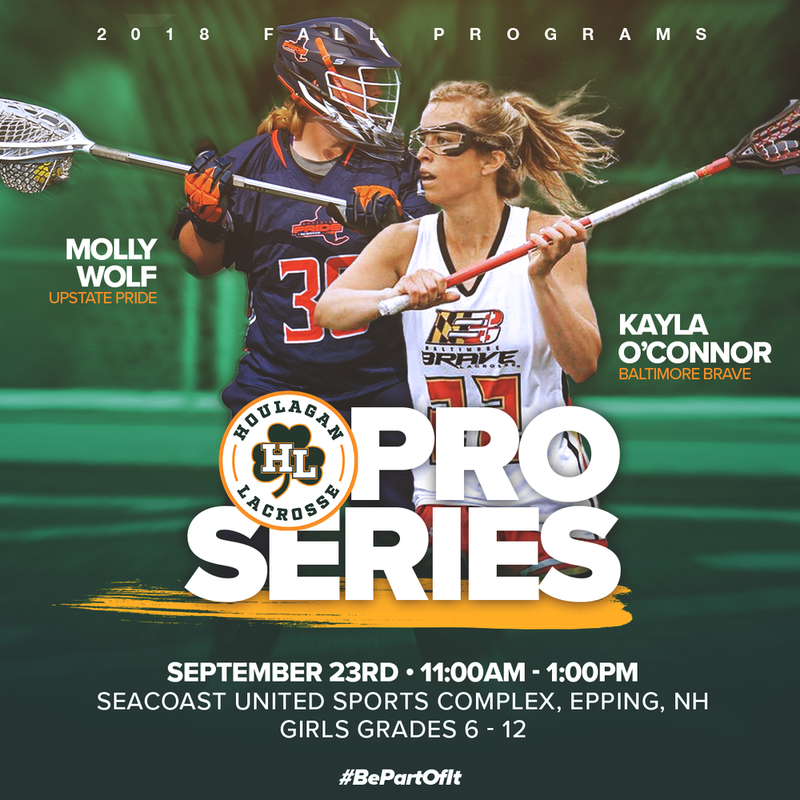 Youth players from grades 6-12 are welcome to join Women’s Professional Lacrosse League players Molly Wolf, and Kayla O'Connor for a clinic at Seacoast United on September 23rd! With a high coach to player ratio, this clinic is an incredible opportunity for players of all positions and skill levels to learn directly from some of the best professionals in the game. In addition to helping improve your skills, the WPLL players will also talk about their experiences as lacrosse players at the collegiate, international, and professional levels.